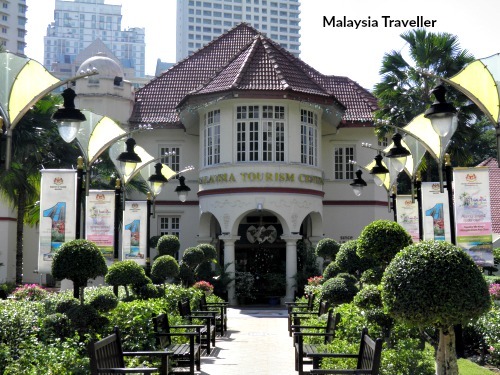 The Malaysia Tourism Centre, or MaTiC, in Jalan Ampang, Kuala Lumpur is a heritage building and landmark and a good place for newly arrived visitors to obtain tourist information on Malaysia (though obviously not as good as this website)! It is hard to imagine now but this attractive colonial era building was once surrounded by a six acre rambutan orchard. 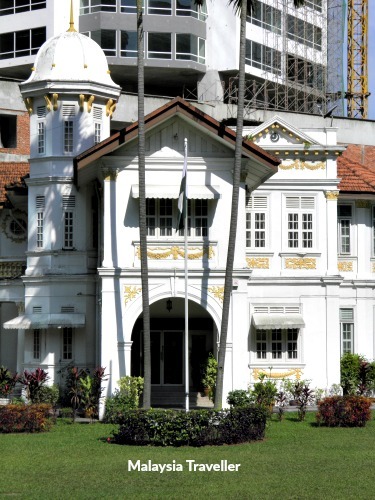 The elegant mansion started out life in 1935 as a plush home for a wealthy mining and plantation magnate, Eu Tong Sen.
During the Second World War the building served as a military office, firstly for the British, then the Japanese, and, after the War, for the British again. After Independence the building was refurbished and used as a conference venue and offices for various government departments. 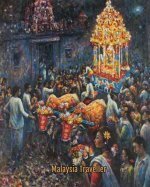 The first meeting of Malaya’s House of Representatives was held on 12th September 1959 in the building’s conference hall named Dewan Tunku Abdul Rahman. Since then the hall has been the venue of a number of other significant ceremonies and events. In 1988, after further renovation and extension, the building became a tourist information centre, evolving into today’s MaTiC, Malaysia’s one-stop tourist complex. 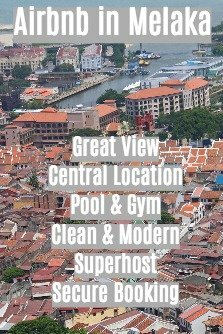 Similar to this website, MaTiC provides tourist information, in brochure and leaflet form, on Malaysian topics such as Architecture, Beaches & Islands, Cultural, Gastronomy, Historical and Religion. You can find out what events are taking place in various parts of the country during your visit. In addition to the tourist information counters you can also find a 24 hour tourist police office in case you find yourself in difficulties such as lost passport or you are unlucky enough to be the victim of a crime. A free cultural show at 3pm every day except Sundays. A counter and bus stop for the KL Hop-On Hop-Off Bus (not to be confused with the Go-KL City Bus, which is free and which also stops at MaTiC). With all these facilities you can see that MaTiC is a destination in its own right. While you are here take a peek at the Pakistan High Commission building across the street. This type of classic colonial bungalow is becoming very rare especially in down town KL.